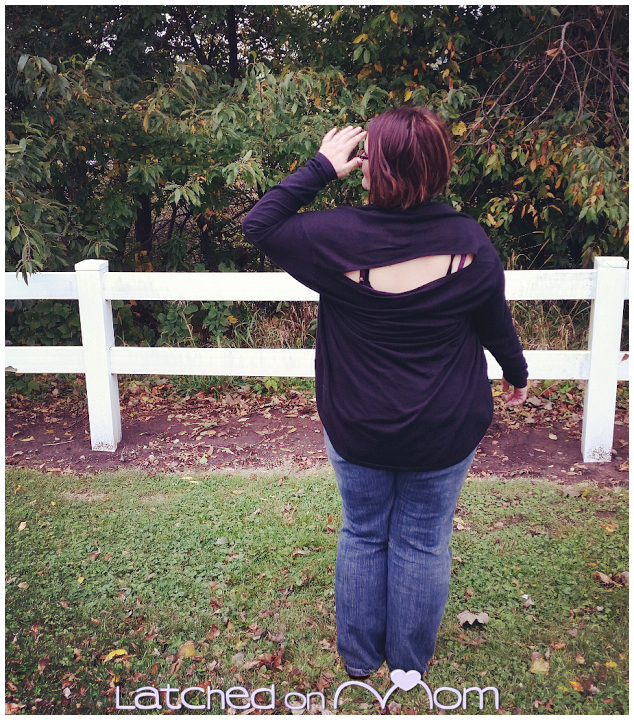 I have started reaching for a sweatshirt or light jacket with the cooler Autumn weather here in Iowa. I was pleased to find a company that offers a multi-functional cardigan/poncho for moms. 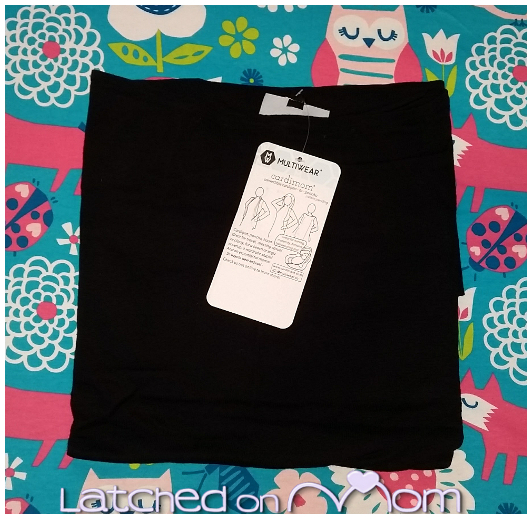 The Multiwear Cardimom comes in several different styles and fabric choices and serves a total of 12 uses! 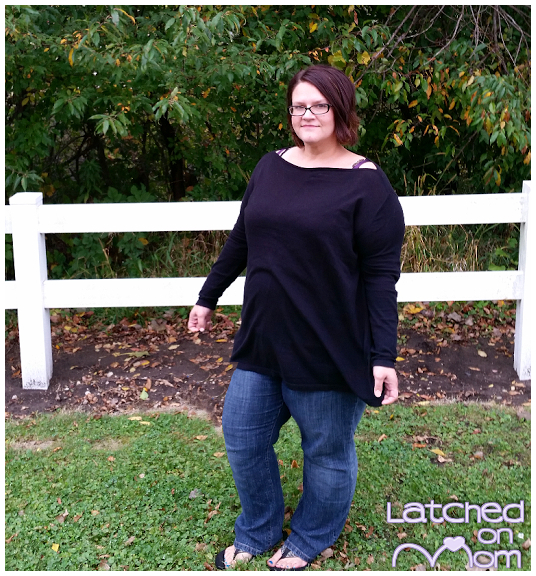 This is such a stylish and comfortable sweater, perfect for maternity wear, breastfeeding, babywearing and so much more! I truly have never seen one single piece of clothing that has so many features. 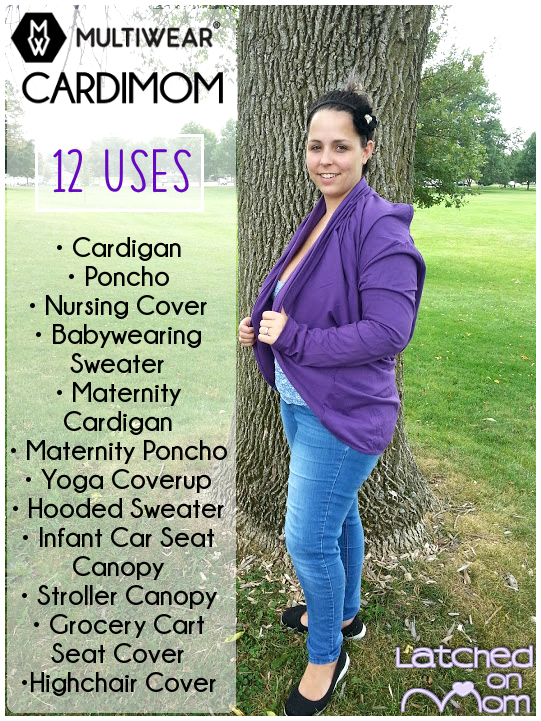 The Cardimom is definitely a must-have in your Fall/Winter wardrobe. I'm going to share everything about this amazing product and how to use it babywearing, so keep reading! 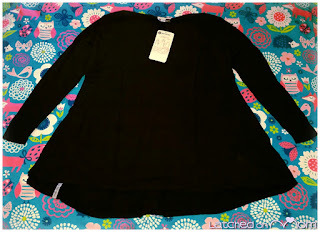 I was sent two complimentary Multiwear Cardimom convertible sweaters to facilitate this review. As I stated above, there are several different styles and fabrics to choose from, depending on your personal needs. 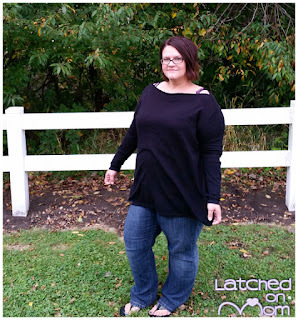 There is the original Cardimom, which is the black sweater style I will be focusing mostly on. This is a lightweight, 100% cotton sweater with a generous stretch. It is available in sizes XS-XL and comes in 5 beautiful shades: black, charcoal grey, burgundy, forest green and a black/cream stripe pattern, too. However, there is also the Classic Cardimom, Jersey Knit Cardimom (more info on this below), Spring Cardimom, Jersey Knit Tank Cardimom and the Summer Tank Cardimom. I wear a size 18/20, so I went with the XL, which is just the right size. Since it is a nursing poncho, you want it to be large enough to fit baby under comfortably. I love the length in the torso and sleeves. The neckline is quite attractive, as well. When you lift the front of the Cardimom over your head, it turns into a cardigan. The neck opening becomes a slit across your shoulder blades. 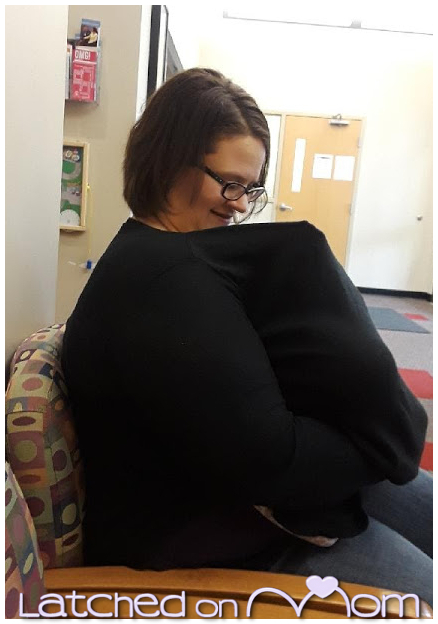 I don't typically cover, but while at an appointment, I gave the Cardimom a good test with my lively 16 month old when she asked for milkies. She reached up and made sure she could see me still. 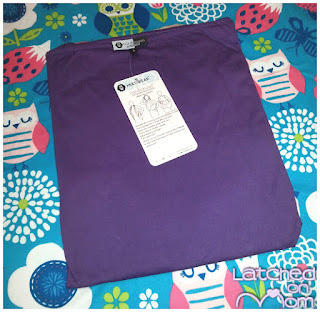 If you prefer to use a cover while breastfeeding, rest assured that the neck opening has ample leeway to keep your eye on baby and the fabric is not thick, but rather a loose weave knit to help with air movement. If you need to pump breastmilk, I think the Cardimom would be superb with this task too! There is a seam straight down the front of the sweater, but not one in the back. The Jersey Knit Cardimom is made of a t-shirt material, it has a slight stretch and is a thicker weave 100% cotton. 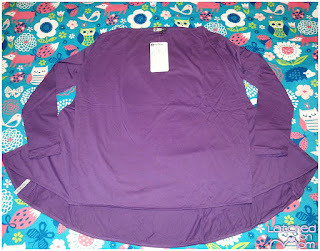 It comes in S-L and is available in a gorgeous purple color, black or pink. There is no seam down the front or back in this style. My friend Alicia was kind enough to help me out and I got some excellent photos of the Large Jersey Knit Cardimom. 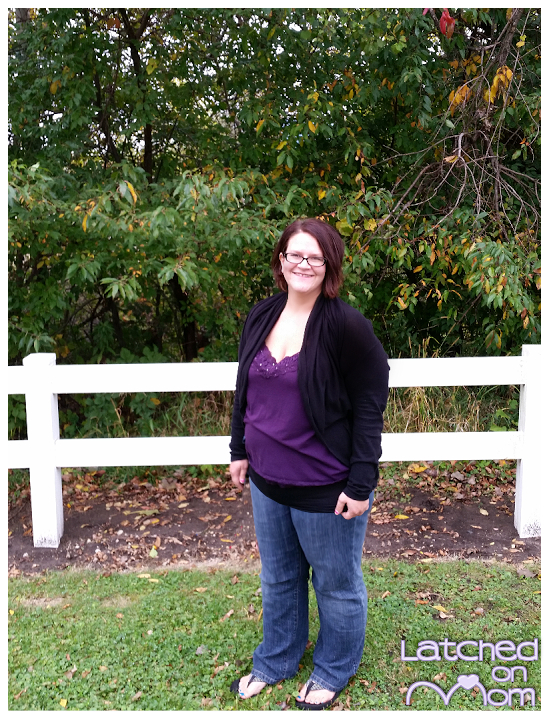 Alicia wears a size medium, but felt that this large size fit appropriately for babywearing and covering for nursing. 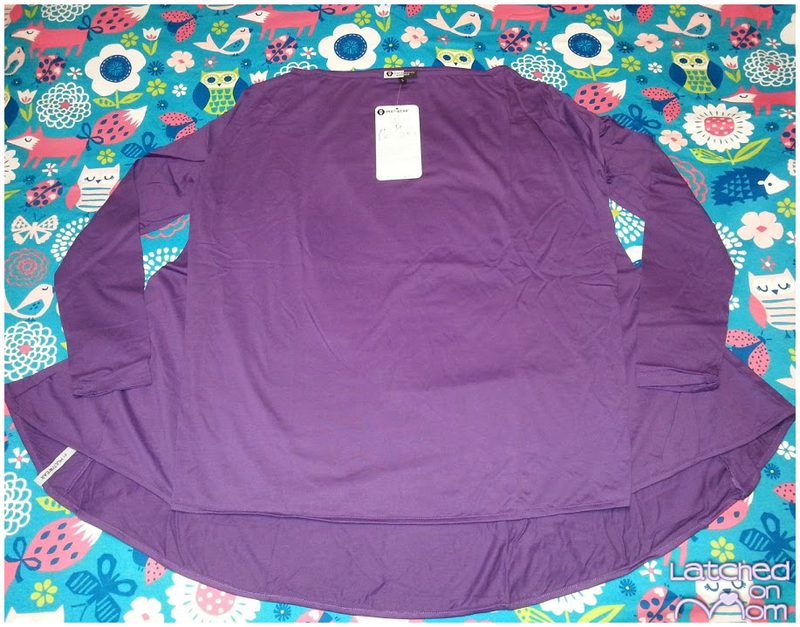 You especially want to take into account a little shrinkage from washing and drying when purchasing. The Cardimom is so versatile. Below is a list of 12 uses, but there may be even more! 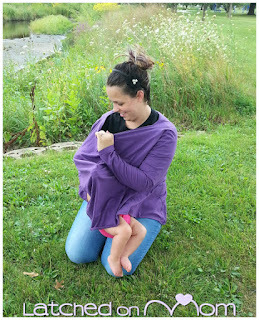 Here is a super helpful video of Alicia showing how to put the Cardimom on while babywearing! What's my favorite thing about the Multiwear Cardimom? What isn't? I love everything about this! It has more functions than any other item of clothing I have and honestly, I haven't seen anything that even comes close to offering so many options! 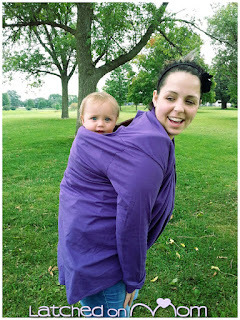 I will use it over and over again, especially babywearing! Is there anything I'd change about the Cardimom? I would prefer the seam down the front in the XL wasn't there, but it doesn't effect the functionality in any way. I give the Cardimom a 10/10! SHOP Multiwear via the website or also on Amazon! LIKE on Facebook and FOLLOW on Twitter to keep up with new promotions and special offers! 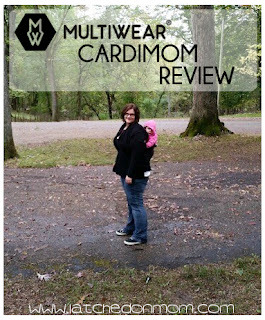 What do you think about the Multiwear Cardimom? Leave a comment below how you'd use it! 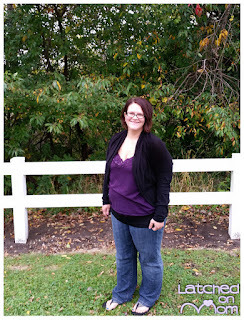 I love a versatile piece of clothing like this cardigan! You get so much more for your money. What a great piece to add to your wardrobe! I love the versatility! I could totally use one with my third on the way in a few weeks. This Cardimom is great! Sadly I am not breastfeeding, because my girl is lactose intolerant so I have to feed soy formula for her to be eupeptic. But this Cardimom has so much options for wearing and using it, I want to have it even if I am not breastfeeding. Thanks for this great advice! How convenient is this?! Perfect for the cold weather winter activities we do! I like that it comes in a jersey tshirt version. Wow there are so many uses for this sweater! I would use it for nursing and baby wearing the most! I'd use it as a cardigan and for baby wearing! 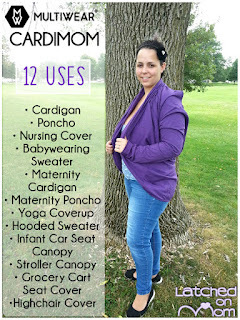 I ADORE it as a babywearing cardigan!! So super cute!! I looovvvee this as a baby wearing cardigan!! Such a great concept. There are so many uses and pretty colors it is endless! But most useful I’d say is for breastfeeding!